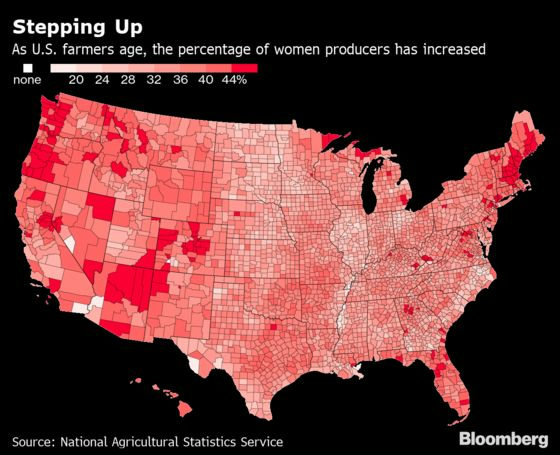 (Bloomberg) -- As the average U.S. farmer ages, more women are stepping up as decision makers to help feed a booming global population. 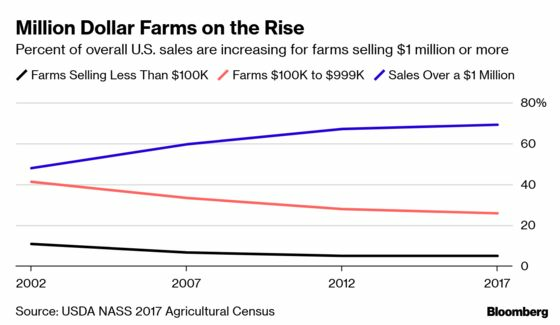 Farmers are getting older. The average age climbed to 57.5 in 2017, up 1.2 years from five years earlier, according to the census. Producers tend to have a couple of decades of experience under their belt, and about 74 percent live on their farm. As the farming community gets more gender diverse, the racial makeup remains largely white. The number of Hispanic farmers increased 13 percent, but just to 112,451, while the number of black farmers rose about 2 percent to 45,508. 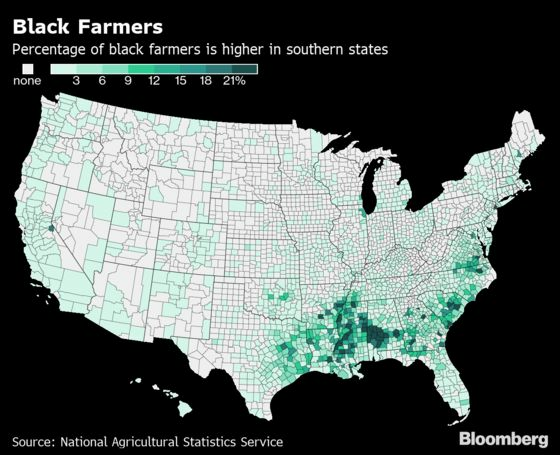 About 3.2 million farmers are white, or 95 percent of the total. In the broader U.S. population, about 77 percent are white. Between 2012 and 2017, farms reporting net losses rose 1.2 percent to 1.15 million. That’s more than the number reporting net profits, which dropped 8.3 percent over the period to 891,329. American agriculture continues to consolidate with the number of farms declining about 3.3 percent to 2.04 million. Mega-operations, with sales of $5 million or more, accounted for 35 percent of all sales, compared with 32 percent in 2012.